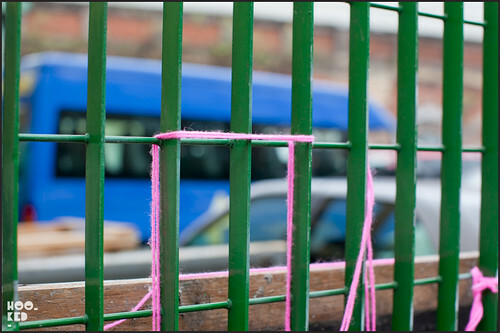 We spotted some pink yarn tied to some railings, blowing in the wind yesterday and being the curious sort that we are at Hookedblog we crossed the street to have a closer look. 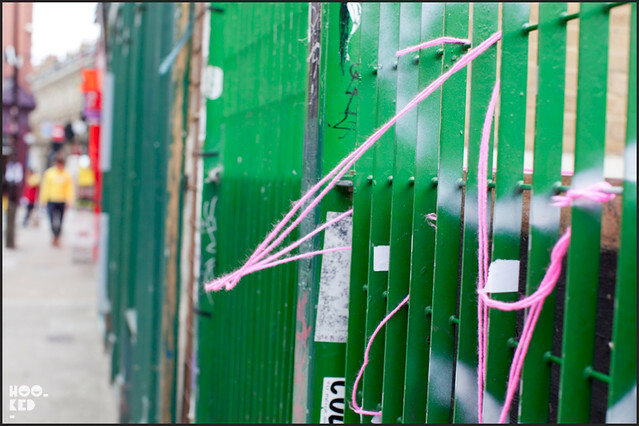 The yarn had been woven through the railings and we were just about able to make out the remains of a letter T and bits of what looked like some other letters. We also spotted another two pieces of Yarn Bombing — one outside Old Street Tube Station which was removed before we could capture it and the other still intact pictured below just off Brick Lane. 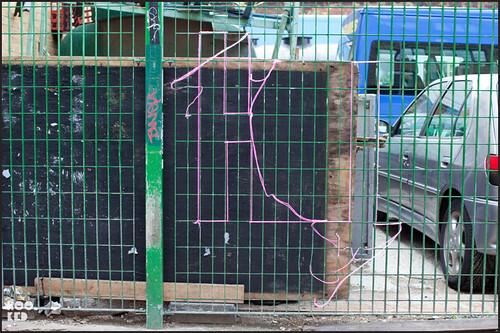 This yarn street work is that of an American artist Hot + Tea from Minneapolis who were in London last weekend on route to Berlin. Hot + Tea are back in London agin this weekend so keep a look out for some more yarn bombing!